Beginning in May 2019, Cochise County residents will be able to use their existing library cards at any public library location countywide. The twelve libraries in Cochise County have freely shared books and library materials for decades, and have offered a shared online library catalog since 1997. The libraries welcome all county residents who wish to use their services, but until now library users have been required to apply for a separate account at each library they visited. 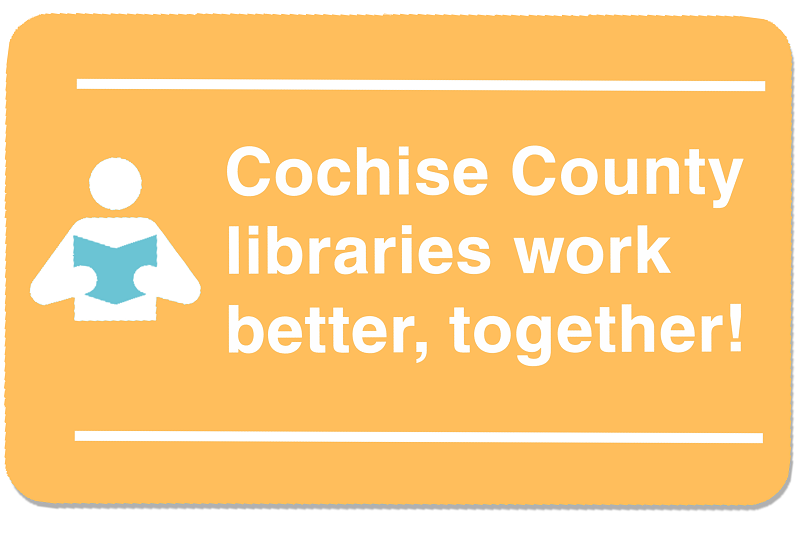 One County, One Card is a joint project of the Cochise County Library District, its rural branches, and the seven municipal libraries in Cochise County. The libraries have laid the groundwork for this project over the last two years by adopting a modern online library catalog, removing outdated and inactive records from the library database, accepting credit card payments, and establishing a process for accepting library cards issued at other libraries. Completing the One Card project will mean added convenience for library users, and added efficiency for library staff and volunteers. Look for answers to frequently asked questions about the project below. If you have a question or concern that is not addressed, please check with your library or contact Cochise County Library District Director Amadee Ricketts (aricketts@cochise.az.gov / 520-432-8935). Which libraries are included in the One Card project? Will I need to get a new library card? I already use several libraries in Cochise County, and have cards from each of them. Can I just keep using the cards I have? I only use one library. Will I see any changes? I lost a book from one of the libraries years ago, then moved to another town and started using the library there. Is that lost book still on my account? Will all the libraries have the same circulation rules when One Card takes effect? I have a card at one of the rural branches (Bowie, Elfrida, Portal, Sunizona, Sunsites), and I can already use it at the other branch locations. Is that the same as One Card? Are all library materials shared between library locations? I have been hearing about this project for quite a while. Why has it taken so long? My question is not addressed here. Who should I ask? 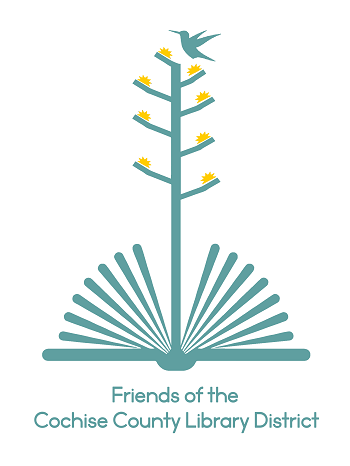 All public libraries in Cochise County are participating. This includes the municipal libraries in Benson, Bisbee, Douglas, Huachuca City, Sierra Vista, Tombstone, and Willcox, as well as the branch libraries in Bowie, Elfrida, Portal, Sunsites, and Sunizona, which are operated by the Library District. No. When the One Card project is complete, existing library cards from any location may be used at any other location. If you have one library card now, and it is in good standing, you are ready for One Card. Eliminating duplicate records is a key part of this project, but you can keep using a card of your choice. To ensure uninterrupted service, check in at any library where you have an account by May 3. You will be asked to update your account details and select a “home library” location. The card from your home library will remain active, and it will work at every other library. Duplicate accounts from other locations will be deleted. Yes, but they will be fairly minor. You can already request materials from any library in the county, so the biggest changes you will notice will be in the online catalog. You will have the option of picking up holds at any location, but your “home library” will be the default choice. When you visit the online catalog, you will also notice small changes to the Library District home page (cochiselibrary.org). The instructions about navigating to your library’s page before accessing your account or placing holds will no longer be relevant, so they will be deleted. Probably! Each library is funded by local taxpayers, and library materials belong to the public. The libraries are obligated to make every effort to recover lost items, or the cost of replacing them. If you are not sure about the status of a library account, check in with the individual library or contact the Library District. The libraries have agreed to a few core rules, like a ten-day checkout period for new books countywide. Other rules still vary by library. When you check out materials, the checkout period and any limits will be set according to the library where you check out, rather than your home library or the library that owns the items. Yes. Accepting library cards between the rural branches was one of the early steps toward making library cards work countywide. If you also have a card from one of the municipal libraries (Benson, Bisbee, Douglas, Huachuca City, Sierra Vista, Tombstone, or Willcox), you will still be asked to choose a “home library” so that the Library District can eliminate duplicate accounts. Nearly all materials are shared. One of the steps toward implementing One Card was eliminating “Local Request” restrictions that stopped new books from moving between libraries. Patrons of the owning library still get priority access, but any patron may place the item on hold and check it out. A few special item types are still limited to a single location. These include grant-funded Wi-Fi Hotspots at several libraries, and sporting equipment available in Sierra Vista and Bisbee. You are right that the One Card project has been in the works for a long time. It was first discussed as early as 2006, but other priorities kept it from moving forward right away. The current One Card effort has been underway since early 2017. The complexity of the project stems from the way the Library District is structured. Member libraries are operated by their cities or towns, and the rural branches are operated by the District. The libraries have worked cooperatively for more than 30 years, but they developed very different rules and procedures during that time. Working out the practical elements of One Card has required careful planning. We think the end results will be worth the wait! Check with staff at your local library, or contact Cochise County Library District Director Amadee Ricketts (aricketts@cochise.az.gov / 520-432-8935).